The Board of Directors and Superintendent have established the Anonymous Reporting Hotline to provide the public and employees an opportunity to report suspected fraud or financial impropriety. 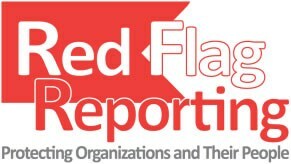 Effective February 3, 2014, Winfree Academy Charter Schools will be implementing an ethics hotline called “Red Flag Reporting.” Red Flag Reporting is an organization that is dedicated to protecting organizations and their employees. Simply put, this service allows employees and community stakeholders to report any concerns regarding improper activity. This could range from financial concerns such as theft or misstated financial statements to workplace concerns such as harassment, discrimination, safety issues, substance abuse and the like. This service is 100% independent from Winfree Academy Charter Schools and allows reporters to remain completely anonymous if they choose. Call the Anonymous Reporting Hotline at 1-877-64-RedFlag. Calls can be made 24 hours a day, seven days a week and will be answered by a live operator in both English and Spanish. This telephone line is operated by Red Flag Reporting, an independent, third-party hotline services provider. No school employees have access to this telephone line. Submit an E-Form to the Anonymous Reporting Hotline through the Hotline website at http://www.RedFlagReporting.com. Use client code 9728693250 and please specify your location of concern. This website is maintained and monitored by Red Flag Reporting, an independent, third-party hotline services provider. No school employees have access to this website. A link to the Red Flag Reporting website will also be placed on our webpage. It is important to know that open doors remain open. We do encourage you to speak directly with a staff member should you identify concerns; however, you will also have a new option via Red Flag Reporting. Please note that this service is not for general HR type questions. You should continue to contact a staff member or Human Resources for those types of issues. Also, this service is not for “9-1-1” type emergencies.